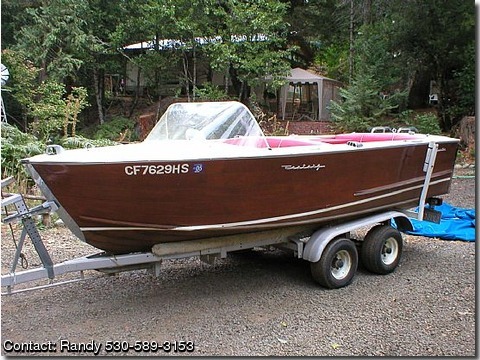 This boat looks and runs Great, I picked it up on a trade thinking it would be a great boat to use in my buisness! [ R&B Moble Marine Service .But I soon realized that it was way to nice a boat to be able use as a work boat or tie up to our house boat.The boat was redone about 8 yrs. ago up in Tahoe, and has seen very little use. It was stored inside all but the last two years. It has been under covered storage since. She's a great old boat looking for a new lover !! !